Memories of a bygone era are depicted in this atmospheric encaustic of a Sikorsky S-43 as flown by Inter-Island Airways, now known as Hawaiian Airlines. 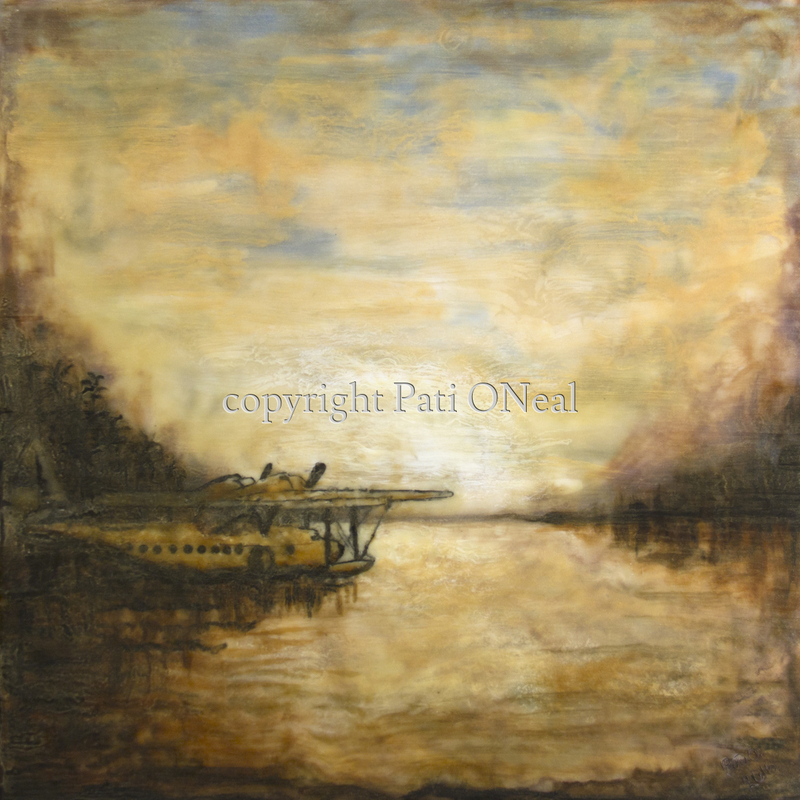 Original encaustic on cradled wood panel. For purchase information or a similar commission, contact the artist.